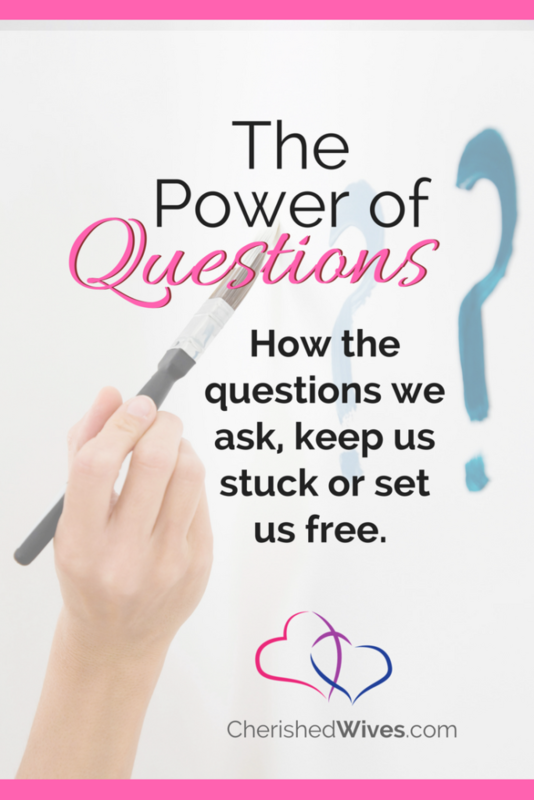 How the questions we ask ourselves can keep us stuck or set us free. Normally, I don’t do weight counseling, but if weight is affecting a marriage because a client is avoiding intimacy, or doesn’t want to go out and do things with her mate, then I would definitely want to help her as a client. Surprisingly, the power questions that we ask ourselves can make all the difference between being stuck and hopeless in a problem, or liberated and free to move in whatever direction we like. Here are some for you to check out. Can you see how these power questions will elicit different answers? What would need to change for me to eat healthier? How can I make more time to prepare healthier meals? What is one food item that I could cut down on or eliminate in order to reach my goals of getting trimmer? What would it take for me to get up earlier to invest time to exercise? How can I eat just 100 calories a day less? Who can I turn to for moral support to achieve my goals? What kind of support from my family do I need to reach my goals? What do I gain if I let go of excess weight? What would it take to let go of just one pound a week? You’ve probably already noticed the crucial difference between the power questions that I’m suggesting as compared to the one Shellie already proposed. Her initial question simply labeled her or identified a problem, and it elicited a self-blaming response. The only thing you could get out of a question like that is a list of things that are wrong with you. The answers would not be empowering because her own question was shaming and blaming her. Once she understood this concept, then it became possible for her to make practical headway on achieving whatever goals she wants to set for herself without beating up on herself. That makes it so much easier. It’s like taking 10 pounds off each shoulder before you even start! We don’t want to be locked into defeatist attitudes in any marriage, because it adds burdens to the already-tricky dance of an intimate relationship. So, let’s apply the same questioning principle to three common marital problems, such as arguments, losing the romantic spark, and money issues. What topic do we most commonly argue about? I have clients who tell me that they argue all the time, but when I inquire, they don’t even know what they argue about. I’ll commonly get, “Everything,” as an answer. It’s important to know what is triggering the arguments, as a single topic tends to rise to the top. How can you address the problem if you don’t even know what it centers around? Do we each know the underlying needs that trigger the arguments? 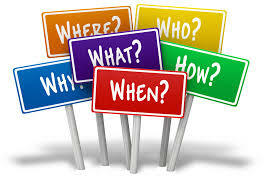 Fights and argument are precipitated by an unmet need, and arguing normally can’t meet that need, so asking can bring invaluable information to the surface. Do you believe that you’re not being respected? Are you experiencing uncommunicated fears or feelings in your life? Now, I don’t mean fear of harm, but more common fears, like wondering if you’re less needed since your youngest started kindergarten or if you’re less attractive since you’ve had kids. What can I do to be more aware of the times that hubby and I fight/argue? Is it at the end of the day when we’re tired? Is it at the beginning of the day because you’re both rushed? How can I track my feminine cycle to see if there is an impact on the frequency/or severity of arguments? Depending on the pattern, and there usually is a pattern, you can then use questions to get to solutions. Maybe you need to change your morning routine or develop some verbiage to use when you need to arrange for a time to talk. And, ladies, don’t get mad at me for suggesting that your menstrual cycle plays a part in the timing of having problems in a marriage. Research suggests that it does, and I admit that it has in my case. Who do I know that can guide me to greater understanding in this area? It’s okay to seek out wise counsel, support, and/or mentoring when you’re having frequent or unresolved arguments. How do I define arguments and fights? Does my mate define them the same? Are you sure that you and your mate has the same view on arguments? Does your spouse assign it the same seriousness as you? What can I do to better understand the spending habits of my spouse and myself? If money is a way to get joy in your life, this is valuable to know so you can find a suitable substitute. Is there a class, a quiz, a test that can help you better understand your beliefs and habits? When is the best time to talk about money concerns with my mate? Where does most of our money go each month? What is a small change that I can take to save money? Whether your solution is giving up a daily coffee, buying food in bulk, packing homemade lunches instead of eating out, or getting a part-time job, these power questions tend to elicit solutions rather than despair. What is my vision of healthy money habits? Do you really know what your thoughts are about healthy money habits, or do they change based on the moment or how much money you have? Where did I get my money beliefs from? And are they serving me? It’s not uncommon for one partner to be more of a spender and the other to be more of a saver. That’s probably true of your parents, too. Do you most identify with spender or saver? Who do we have in our lives that are good roles models on keeping the romance alive? Is there a class I can take or book that I can read to better understand how to regain the intimacy in my marriage? How can I understand my husband’s needs better? Have either my spouse or I changed our views on intimacy without discussing this with the other? How can I best communicate that I want my husband to be more romantic? What small action can I take today to show my spouse that I appreciate him? Many times, women feel less attractive over time, but the men don’t feel less attracted than they’ve always felt. 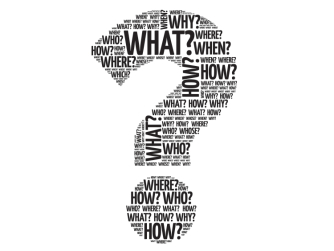 When you ask the right questions, you can’t help but uncover helpful clues as to what’s really going on (if anything) and what (if anything) needs to be done, as well as how you’re going to move forward. How do you ask questions in your life and relationship? What areas of life are you happy with, and are there any new goals that you want to embrace? What power questions would you add or remove from this list? Don't know which questions to ask? Click Here!